In September 2018, Blenheim High School and The Chelsea Foundation launched a new girls’ only football Academy. 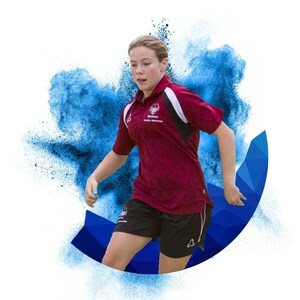 The Sixth Form Football Academy in Epsom allows girls aged 16-18 to benefit from the unique opportunity of having an academic-led post-16 education and being able to gain A-level qualifications alongside a full programme of professional football coaching. With women’s football one of the fastest growing participation sports in England, the Academy gives young women the opportunity to pursue their footballing dreams while getting a wider understanding of sport and exercise science, and the great career opportunities the industry offers. The programme underlines Chelsea’s commitment to women’s and girls’ football and rewards the outstanding success of Blenheim’s girls’ football teams, who have won numerous awards and accolades over the past three years including winning of the Under-16 Surrey Cup. A team from the school also represented Chelsea at the Premier League Schools Cup. The next trial will take place on 12th February. This will take place at Chelsea’s Cobham training ground and is open to girls aged 15-16 currently studying in Year 11.